Our favourite adult ice lolly brand POPs have done it again, creating a brand new flavour for Summer '17. 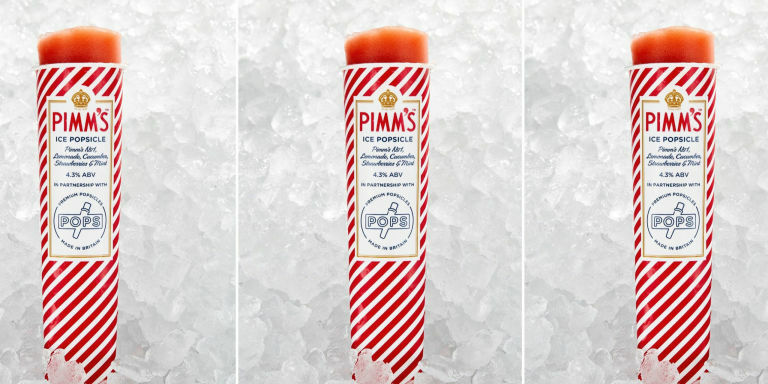 Summer and Pimm's are the ultimate combo so we are over the moon to see the launch of this genius boozy ice pop flavour. What a wonderful extra to have at your wedding this summer! Other flavours (our faves) include Watermelon Martini, Champagne and Peach Bellini. All of which are available to buy at The Birdcage, Norwich for that sweet little summer treat. You can get your hands on the new Pimm's flavour in Selfridges food hall as well as Darwin & Wallace bars in London, and the Henley Royal Regatta.